Adobe has launched Creative Cloud tools and services in India and around the world. “The industry is going through unprecedented changes driven by mobile explosion, and content velocity is becoming more critical in tying content and customer experience to business impact and success. However, we know only 16% of marketers and business leaders in Asia Pacific say they have the workflows in place to enable the alignment and collaboration needed to deal with the scale of content production they’re facing,” said Paul Robson, President, Adobe Asia Pacific. “This release delivers the magic and improved workflow that unleashes creativity and helps organizations ultimately provide superb customer experience across channels,” he added. The Creative Cloud portfolios are built in their own R&D labs, such as Photoshop Match Font. These experiments might deliver tremendous value for the customers in India and across the globe, and make an immediate impact on the way creative people work every day. Creative Cloud for enterprise (CCE) enables customers to create, collaborate and deliver content at high velocity – all behind the security of a corporate firewall. 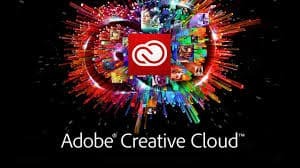 Updates to Creative Cloud for enterprise deliver significant new capabilities, including: simplified workflows for creative teams collaborating and exchanging assets, as well as read-only libraries and folders, archiving support for folders and files and versioning capabilities.